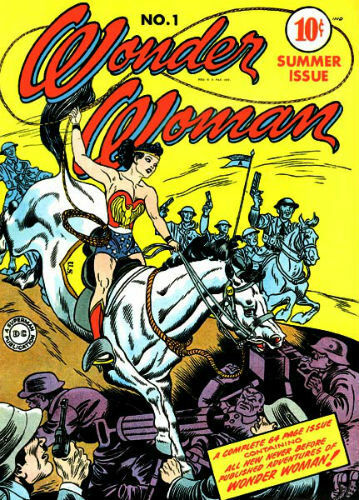 When Wonder Woman made her bold introduction in issue #8 of All Star Comics, nobody could have predicted that she would be the subject of films many years later but, as we approach her 75th anniversary, that is exactly the case. Wonder Woman is set to make her return to pop culture prominence as a main character in Batman vs. Superman: Dawn of Justice as well as her own franchise of films and the Justice League films beginning in 2017. If DC/Warner Brothers have their way, we’re going to see a whole lot of the Amazon Princess over the next few years, which is good news to collectors of the iconic DC heroine. This guide will serve as a great starting point for collectors eager to expand their collection into the world of Diana Prince. 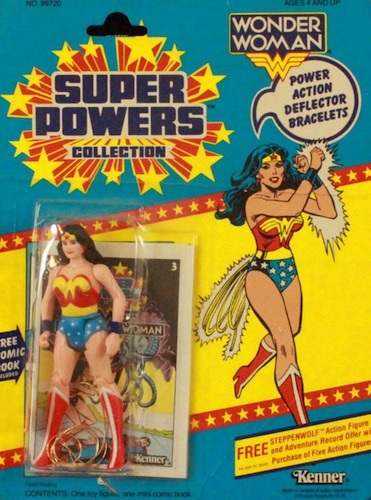 There have been a great deal of collectibles released for Wonder Woman over the years that go far beyond the comic books that bear her name. 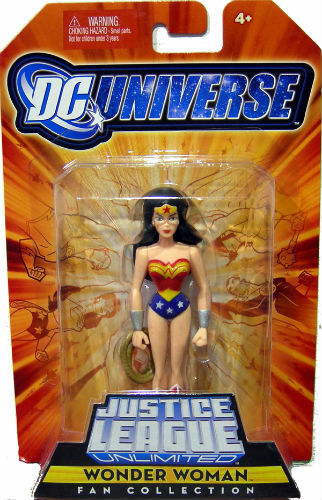 Although it is more rare to see stand-alone collector sets in honor of Wonder Woman, she is almost always included in DC Universe releases as part of “The Big Five” which includes Superman, Batman, Flash, Green Lantern, and Wonder Woman herself. Lynda Carter may be the most famous iteration of Wonder Woman to date, having played her on the popular television show in the latter half of the 1970s. Wonder Woman memorabilia, including autographs, featuring Carter are plentiful and fairly inexpensive on online auctions and private shops. For the purposes of this guide, collectibles will be narrowed down to trading cards, action figures, and collectible figures/statues, but will not include the infinite autographs that can be found around the web. You'd have to be some kind of idiot to discuss Wonder Woman collectibles and not begin with the comic books that gave birth to her character. 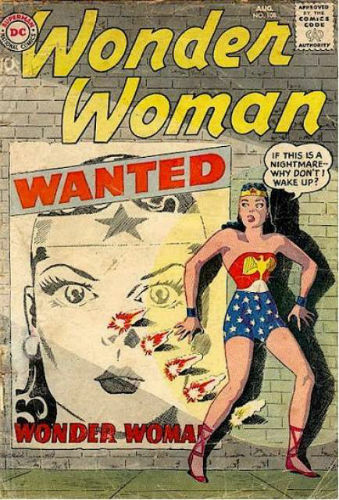 Since her introduction in 1941, Wonder Woman has been a constant in the DC Universe in both eponymous books and team-oriented books spanning all the way back to the Golden Age of comic books. While it would be outrageously expensive (but fun) to track down every single comic issue, hitting highlights from the many different publications may be a better path to take for a new collector. Click on the listings or images to shop on eBay. 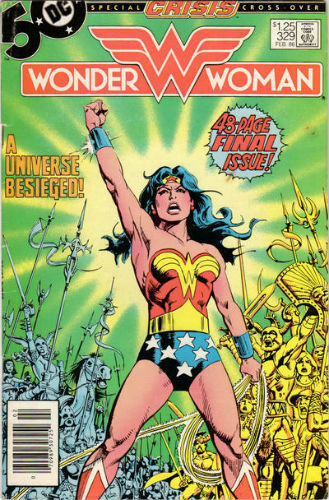 Wonder Woman first appeared in All Star Comics #8, moved over to Sensation Comics #1, and within a year was headlining her own comic book - Wonder Woman. 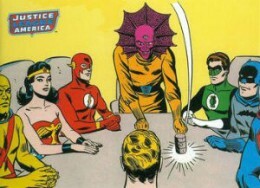 It was also during this time that the Justice League was introduced to DC and Wonder Woman began appearing alongside other legendary comic heroes. Price points for Golden Age era comics can be very high, particularly for debuts or issues with notable events, even if the condition of the comic is less than desirable. It's also important to look out for commemorative reprints of the more iconic issues as they did pop up for major anniversaries over the years. That said, this is one area of collecting where you can still go to a comic store and sift through the bins until you find a deal you just can't pass up. 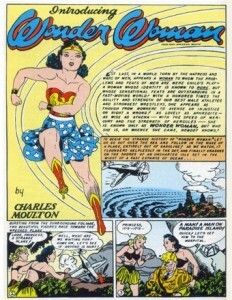 During the Silver Age, a new origin story was developed for Wonder Woman (issue #105) and although things got a little bit darker across the board in comics, the 1960s were also the heyday for gimmicky publicity stunts and the creation of juvenile characters (like Wonder Girl and Superboy). Tracking down some of the bigger gimmicks or the first stories of her pubescent exploits would be a great place to start when it comes to this era. This is a strange era for Wonder Woman as she gives up all her powers and starts running a boutique. In 1973, things went back to normal but there are a handful of very disjointed story arcs to collect in the Bronze Age. Because the bi-monthly comic had a fairly regular turnover of writers, it may be smart to begin by collecting specific writers and then to pursue the series of comics portraying her quest to rejoin the Justice League (#212-222). It is important to note that despite a name change on the cover, now being billed as New Wonder Woman, the numbering remained sequential. These modern editions are the easiest comics to track down and, just like junk wax era of cards, the slowest to gain any real value. Like all the previous eras, collecting major events and character premieres is always a good place to start. Further, because of their availability, it is much easier to collect an entire author run or major story arc. 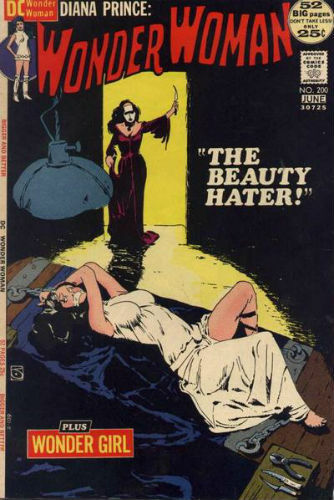 WONDER WOMAN #113 (4.5) INVASION OF THE SPHINX CREATURES! 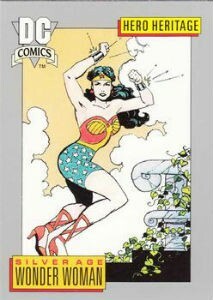 Wonder Woman has never been featured exclusively as the focal point of a trading card set, a rare tribute reserved primarily for Batman, Superman, and Spiderman, but she has been included in virtually every DC Universe collection over the years. For collectors seeking Wonder Woman-specific trading cards, this list will present the sets with the most Wonder Woman content to collect or chase cards. Hopefully, with increased demand from fans of the upcoming films, a set devoted entirely to Wonder Woman will eventually come to fruition. Click on the listings or images to shop on eBay. When available, linked sets in the body go directly to detailed product profiles. Beginning in 1991, Impel (which would later be named Skybox) was responsible for a fairly regular release schedule of DC-related cards. Everyone's favorite Amazon Princess appeared on several cards from these releases, including the original Cosmic Cards (1991), Cosmic Teams (1993), DC Master Series (1994), DC Legends Power Chrome (1995), DC versus Marvel (1995), and Kingdom Come (1997), among others. She also makes cameos in several sets devoted to Superman. These sets were all released at the peak of the junk era and are easily found, complete, for fairly cheap. The chase sets from these releases, however, can be fairly valuable and Wonder Woman is featured in many. 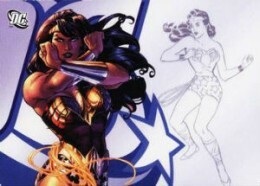 Rittenhouse has released a handful of DC products over the years, including two that include Wonder Woman. The DC Legacy (2007) set is a bit of a photo album of the DC Universe which, naturally, features our super heroine on several cards and chase sets. 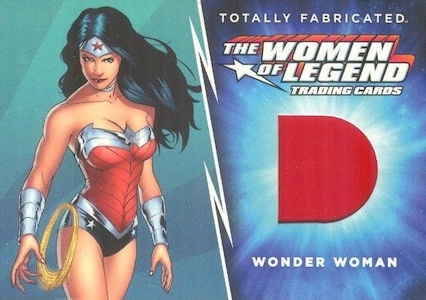 The Justice League Archives, which chronicles the first decade of Justice League comics, has several cards adorned by Wonder Woman. This includes some beautiful chase cards and sketch cards. These are higher quality cards with a limited release and sealed boxes rarely sell below retail value even on the secondary market. The Cryptozoic card company now handles releases relating to the DC comic universe and has released several sets with those characters. The New 52 (2012) is an exhibition of the recent redesigns of DC characters and the 2013 Women of Legend highlights the female power of the DCU. Offering more premium choices, Cryptozoic includes sketch cards in their sets and, for some, a line of "Totally Fabricated" relic cards like the one below. As is typically the case, Wonder Woman also appears in cameos among Superman cards. New Injustice Arcade Cards #(96) 600 Wonder Woman HoloFoil. 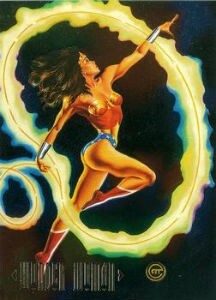 Since the mid 1970s, Wonder Woman has been a mainstay in superhero action figures and collectible statues. From the low quality figures of the early years to the hand painted, hyper-detailed figures of today, there has rarely been a time when you couldn't easily track down a Wonder Woman figure for your toy box or display case. Most of the figures, statues, and toys that have been released since the 70s show up online with a fair amount of consistency but collectors should be cautious of re-released figures, packaging variations, and international counterfeits when hunting down any of these figures for their own collection. Below is a rundown of the most important contributors to the Wonder Woman figure lines. Mego Toys began with their release of the 8" Super Gals line which, as the name implies, included female action heroes. In an effort to keep costs down, all the dolls had the same bodies and their costumes, including exposed skin, were full-body onesies. Soon after, the 3.75" Comic Action Heroes line was released and included several superheroes from the DC and Marvel universe. 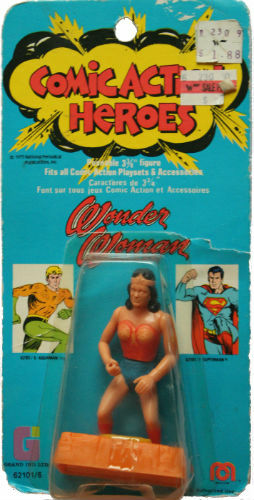 There is a rare Wonder Woman action figure in this batch as her original face mold was deemed too masculine and was quickly replaced with a more gender appropriate version. Eventually Mego produced action figures (or dolls in some cases) branded for the popular Lynda Carter television show and closed out their line with the 3.75" Pocket Heroes line which was among their final toy lines before declaring bankruptcy in the early 1980s. Because these are among the first superhero action figures for any character and because of the many packaging and accessory variations (particularly with the Lynda Carter figures), the Mego lines have become quite collectible and can fetch a hefty total, especially those that are mint in box. Having established themselves with the wildly popular Star Wars action figure lines, Kenner began making DC action figures in the early 1980s, most notably the Super Powers collection. These were not the highest quality action figures but no child of the 80s or 90s who had action figures was without one of these in their collection. Wonder Woman was, of course, included in this 3.75" set of figures as were several DC villains and heroes. There were ultimately 33 figures produced over three series releases and Wonder Woman was included in all three releases. Each figure also came with a comic book and most offered some sort of accessory. Mattel has been producing DC-related action figures since the turn of the century and has several lines that feature Wonder Woman including: the Justice League Unlimited series, based on the cartoon; DC Universe Classics, which are more traditional comic-based figures; Infinite Heroes collection; Blackest Night, based on the Green Lantern stories; and the recent Batman Vs. Superman collections. As with the Mego and Kenner sets that preceded Mattel, there are several packaging and costume variations to collect in all of these sets as well as multi-figure packs that include up to six different characters. For most of these figures, it is still possible to find them in good condition for near-retail pricing but even in lines as recent as these, there are some rarities that command an elevated price tag. Statues can be a beautiful addition to your collection but can easily cost a great deal of money. With Wonder Woman statues being released by DC Direct, Sideshow, and Kotobukiya, you are sure to find a figure that appeals to you and fits within your price range. Premium statues are, typically, very limited in production numbers, hand painted, and to scale (quarter scale is pretty normal) while entry-level figures may have a more mass-produced feel and appearance. Regardless, statues are very popular among collectors and often inspire intense bidding wars online. There are several products scheduled for release in 2016 to coincide with the Batman vs. Superman; Dawn of Justice release and many of those statues are already selling through online retailers at inflated prices. 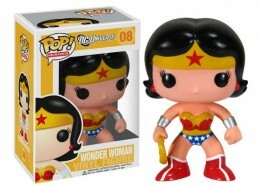 Funko has released several Wonder Woman products and will, no doubt, release several more in the coming seconds, minutes, and hours leading up to her film launch. Typically all of the Wonder Woman figures are part of a larger DC-based series but, more than most, Wonder Woman offers the good folks at Funko the chance to redesign the character into many new and different styles. Their Rock Candy series portrays the character in a younger, sassier fashion while their Pop Heroes collections utilize the traditional Funko design we're used to seeing. The Pop Heroes collection includes subsets for the DC Universe, Batman vs Superman, and DC Super Heroes. 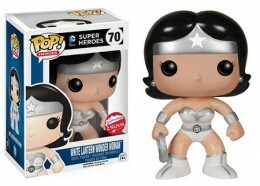 Funko has also released Wonder Woman iterations for their Dorbz and Wacky Wobblers toy lines. 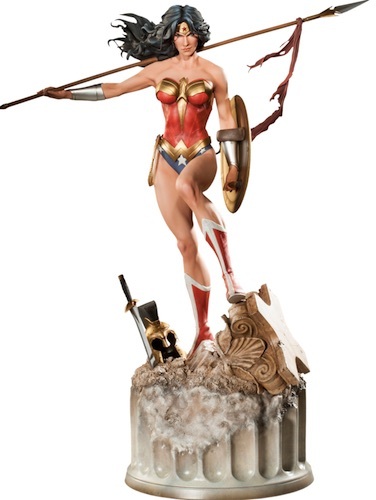 DC Comics Designer Series Wonder Woman Statue by Adam Hughes Collectibles 14.85"